Read what Tori and Mary Beth West had to say about social media strategy in an article from the Knoxville News Sentinel. Tori Rose shares a secret with businesses excited about how many fans their Facebook page boasts. “A lot of them are hiding you,” says Rose, founder of Blue Media Boutique, a Knoxville Web development firm that recently joined with Mary Beth West Consulting to promote their strategic interactive expertise. They start a blog, but no staff member is charged with writing it. They want an iPhone app, but don’t know why. To be sure, the Internet’s vast audience is alluring the corporate world, and so is its promise as a free, easy, do-it-yourself marketing platforms. The trend has been keenly by those businesses helping them shape their message. Not unlike many industries affected by seismic economic shifts, marketers have used the downturn as an opportunity to take stock and reinvent themselves. Advertising, public relations and Web development firms are consolidating and creating joint ventures, as well as tapping high-profile talent to boost their digital media credibility in the marketplace. And businesses big and small, those already taking part in the online conversation and wondering whether anyone is listening as well as those considering jumping into the fray, are increasingly seeking expert assistance on how to be efficient and successful on the online frontier. “Social is now at the curve where it’s becoming a more mature medium and people are expecting more out of it,” says Dan Alton, of Bluegill Creative, which recently merged with Internet marketing firm Eluminare. Mary Ellen Brewington is a partner in Cherokee Distributing Co. and passionate community volunteer, who considers writing a hobby. She’s written articles for a Knoxville lifestyle magazine and earned a college degree in creative writing. She began playing around with Facebook and Twitter last year, and signed Moxley Carmichael to talk through her efforts and get the technical assistance to make the company’s Web site more interactive. Brewington now authors the blog, “On Tap,” that’s accessible from Cherokee’s Web site, and visitors are also invited to follow her on Facebook and Twitter. Her audience is primarily local: Cherokee distributes beer and non-alcoholic drinks to grocery stores and restaurants in 22 East Tennessee counties. Her mission is provide some entertainment and education, she says, along with promoting Cherokee’s products. “Good business is really all about relationships, and I view social media as one of the ways to build those relationships,” she says. She’s now receiving weekly reports on her Web traffic, and is particularly interested in how readers came to visit the site, the demographics of fans and followers, and what experts say is an often overlooked metric — whether readers are responding. Tracking a reader to the grocery story is difficult, but she intuitively believes “putting a bug in someone’s ear,” about the nostalgic resurgence of Pabst Blue Ribbon, for example, may prompt him to pick up a six-pack at Food City. Ruby Tuesday, on the other hand, wants to build relationships with potential customers around the world with hopes they’ll visit its nearly 900 restaurants. Gavin Baker joined the Maryville-based restaurant chain eight months ago as social media manager. Facebook is currently the “big dog” in the social media space, Baker notes, and Ruby Tuesday boasts 60,000-plus fans of its page. The marketing department creates a conversational calendar for Facebook posts, dividing messages into three categories: community, product and company. “We set that up ahead of time, and coordinate that with everything else we are doing,” he says. Messages are vetted in the marketing department before they’re posted. “The easiest thing to measure is the fan count — unfortunately that number doesn’t really tell you anything,” Baker says. He watches closely what wall posts elicit comments and analyzes demographic information and engagement scores provided by Facebook. Tracking the reader to the restaurant is made easier by an old-fashioned tool “that gets a lot of love,” he says — a coupon. Fans this month get a free appetizer; in mid-March the company launched a $1 million contest tied to the NCAA basketball tournament. Katie Granju joined Ackermann PR in April 2009 as the agency’s first director of social media. She brought with her nearly eight years of participating in a variety of online communities, both professionally — she was among the first community producers for the Oxygen network — and personally as a citizen actively engaged in her neighborhood’s development and a mother interested in learning and sharing the triumphs and travails of parenting. When HGTV, the Knoxville-based lifestyle television network, sought to tap into the exploding group of so-called mommy bloggers they turned to Granju, who blogs at mamapundit.com. “The idea was tossed around to start from scratch” with its own blog or other targeted messages, Granju says. Ultimately, the network signed to its talent stable Heather Armstrong, who in 2001 began publishing dooce.com, a blog that has spawned two books. The move also illustrates what Granju says are often overlooked opportunities — from endorsements of online celebrities to the more mundane Listservs and Yahoo groups. While Granju may be a poster child for new media and all things digital, she sounds not unlike Cathy Ackermann, her boss and the public relations strategist who founded the agency 28 years ago. She also preaches that companies need to integrate all their digital media elements. Her firm has been called on to perform “digital audits” for locally-based companies with national footprints, including Ruby Tuesday, Pilot Travel Centers and Radio Systems, the makers of the Invisible Fence and other pet products. Granju says metrics to measure success are getting “better and more accurate,” particularly in just the last year. Ackermann’s digital audit at Pilot Travel Centers will look at what tools are being used to monitor online traffic and conversations, consolidate its interactive strategies with its brand vision, as well as adding functions to the Web site that allows visitors to plan their trips with stops at Pilot. While the company’s message and user-friendly presence are important, conversation is ultimately a two-way street making listening and responding integral to the strategy. Lyndsay Caylor, named Pilot Travel Centers’ social media manager in October, finds herself frequently communicating with the company’s human resources office, where she started her Pilot career, the legal team and the executive suite. Such was the case recently when Pilot’s Facebook page became ground zero for a battle between the Humane Society of the United States and agriculture interests unhappy with the organization. At the crux was an employee-driven fundraising appeal to customers to support funding shelters for animals displaced by disasters that came to light when the Humane Society identified Pilot as a corporate sponsor. Ultimately, Pilot stopped the solicitations and CEO Jimmy Haslam explained why on a farmer-hosted radio show carried by 100 rural radio stations. Caylor was unfazed that the controversy consumed the company’s fan page, because it’s just that — the fans’ page. Besides posting its own statement of clarification several times, Pilot let the conversation continue freely — and that in itself earned the company plaudits from its fans. Facebook, she says, “compared to all of our online chatter is a very small percentage,” she says, noting that she monitors online forums, blogs, Twitter and a number of other sites to determine who’s saying what about her employer. That type of interaction is also a measure of a company’s social media success — for better or worse, the fans are engaged with the brand. Amy Howell, founder and principal of Howell Marketing Strategies in Memphis, told a Knoxville audience recently to remember, however, that corporate messages via the Internet carry the same rules as with any media. That policy extends to the company’s internal audience, as well — its employees. Caylor says she was somewhat surprised how quickly and vehemently loyal employees would rush to the company’s defense online. Pilot now has an internal social media policy — and Granju says more companies are following its lead. At its basic level, the policy reminds employees to treat customers no differently online than they would in person at a convenience store or truck stop. Mary Beth West, the public relations professional and Rose’s partner in Interactive Springboard, says employees are one of the most overlooked audiences. Board members, volunteers and the community-at-large are also audiences that have expectations from companies that may be different from customers, she notes. In part because interactive media is still developing territory, communications professionals — being who they are — are talking about it. A lot. 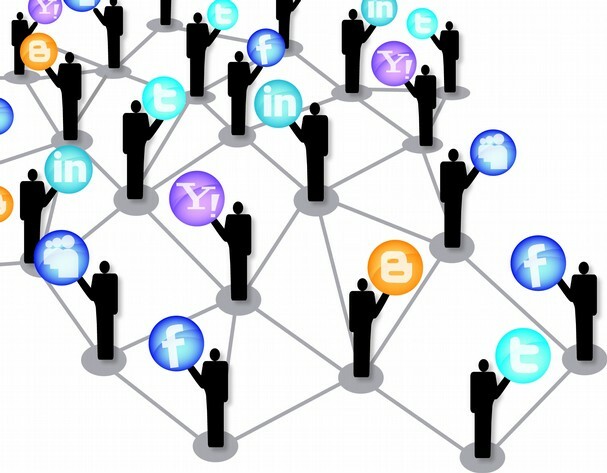 Knoxville boasts not just one, but two associations devoted to social media. The groups sponsored a half-day seminar in February attended by some 200 marketing and media types. Their members’ blog feeds, Facebook posts and Twitter streams are populated by the latest and greatest thinking on the subject. “Five to seven years ago it was all about who could come up with the next big idea,” Blue Media’s Rose says. “Now there are so many of them if you don’t collaborate it’s impossible to keep up. The “in person” collaboration is likely the ultimate measure of success, Floyd says, whether it’s a customer buying a product, inquiring about a service or making a referral. Amy Nolan is publisher/editor of the Greater Knoxville Business Journal. Who is Blue Media Boutique?